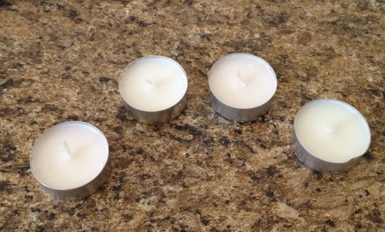 I would like to show you what to do with that annoying leftover wax around the edges of your yummy smelling expensive candles. 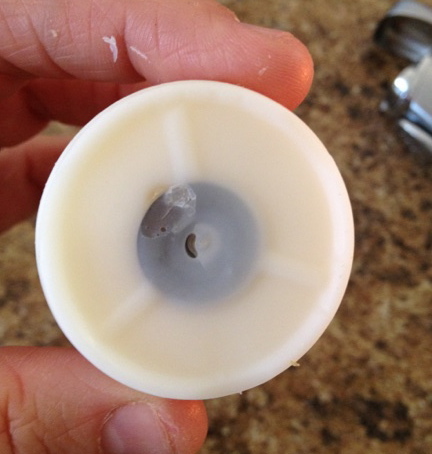 the wick is burned all the way down, but there is a TON of useful wax left on the sides of the container. 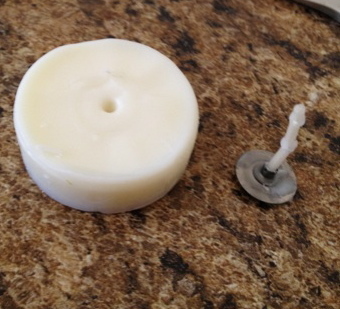 What can you do with this leftover wax? 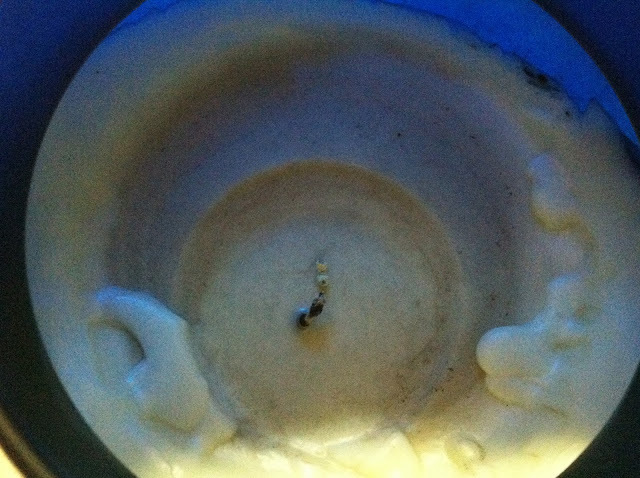 Well, when life hands you wax, make a candle! 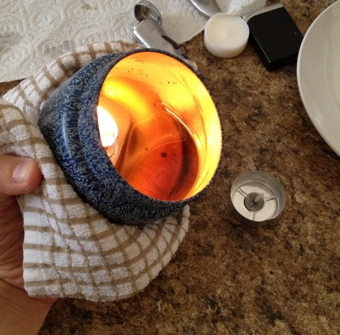 You know those big bags of 200+ tea light candles they sell at IKEA for like $2? We buy so many bags of them and always have them on hand. 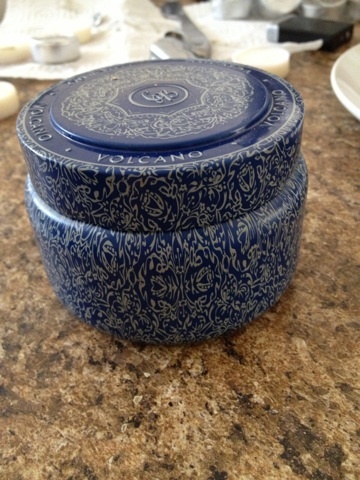 Actually they don't have a smell at all! 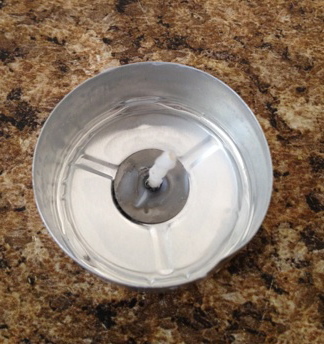 I take a candle, remove it from the little metal round container, then remove the wick. 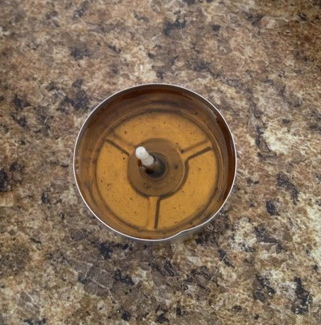 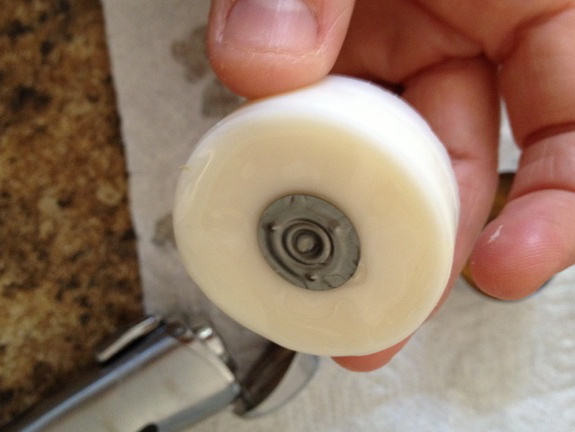 I remove the wick by using a lighter to melt the wax on the bottom so it easily slides out. 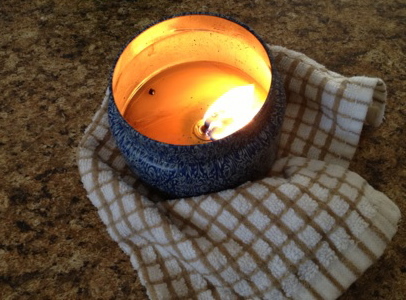 Get a flame going in your yummy smelling candle container to begin melting the wax, move the container sideways so the flame hits right on the wax and melts it. 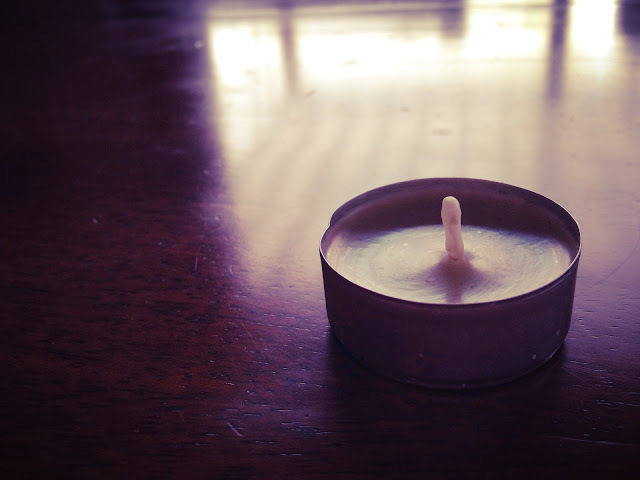 Let your new little candles sit & harden.